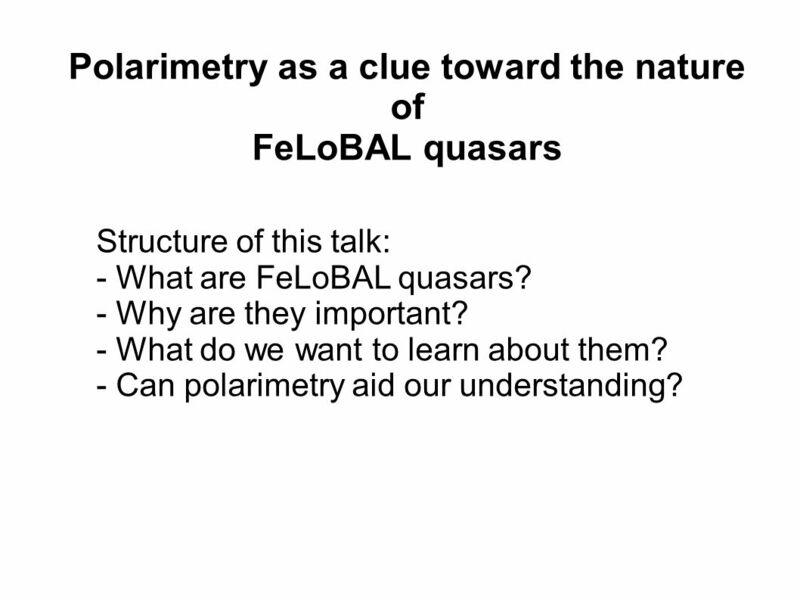 FeLoBAL quasars Structure of this talk: - What are FeLoBAL quasars? - Why are they important? - What do we want to learn about them? 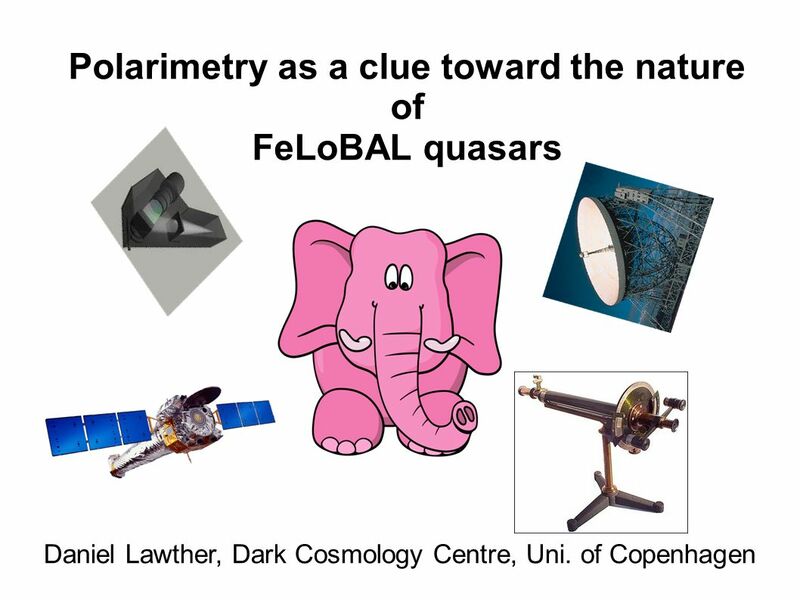 - Can polarimetry aid our understanding? 2500 Å Rest wavelength 4500 Å 1600 Å Rest wavelength 3000 Å Hall et al. 2002, ASP Conference Series Vol. 255 These objects are (obviously) heavily reddened. Combined with a weak X-ray output, this makes them easy to miss in surveys! 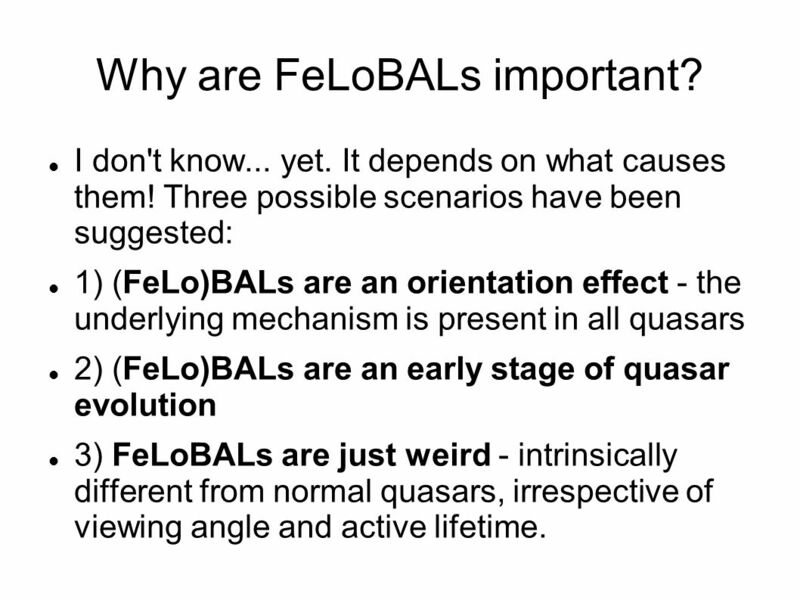 9 Why are FeLoBALs important? 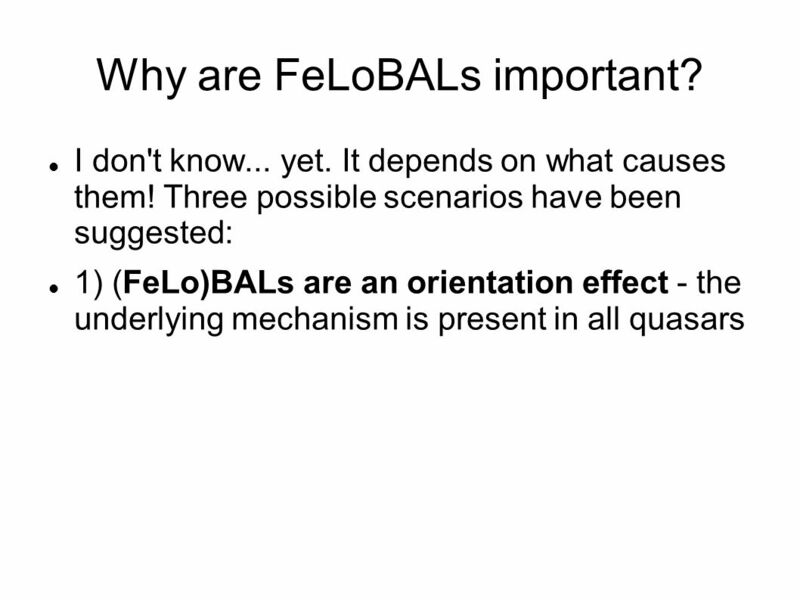 10 Why are FeLoBALs important? 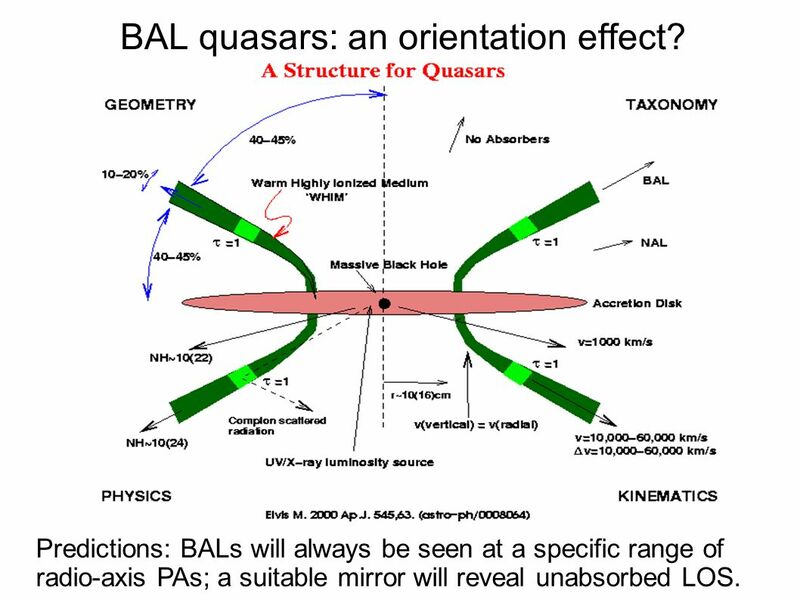 11 BAL quasars: an orientation effect? Predictions: BALs will always be seen at a specific range of radio-axis PAs; a suitable mirror will reveal unabsorbed LOS. 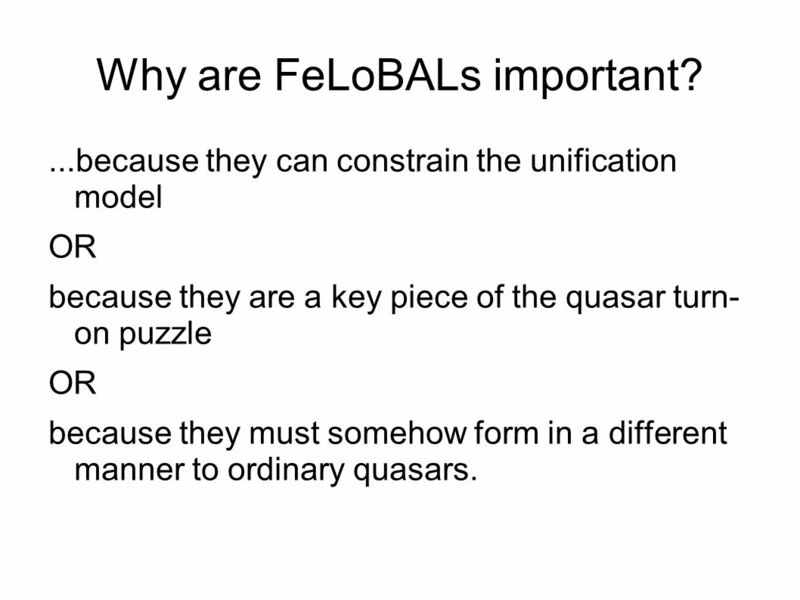 12 Why are FeLoBALs important? Absorbing cocoon Acc. 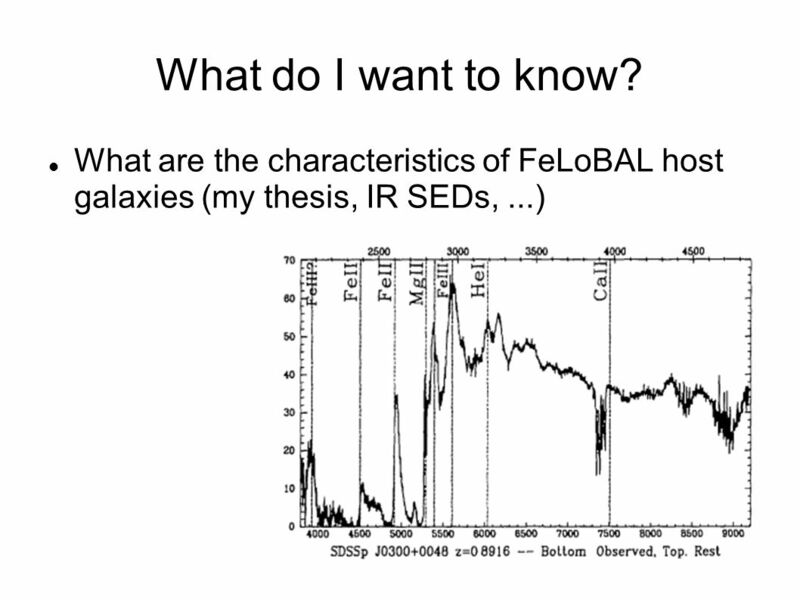 disk - (FeLo)BALs as an intermediate step between ULIRG and ordinary quasar? 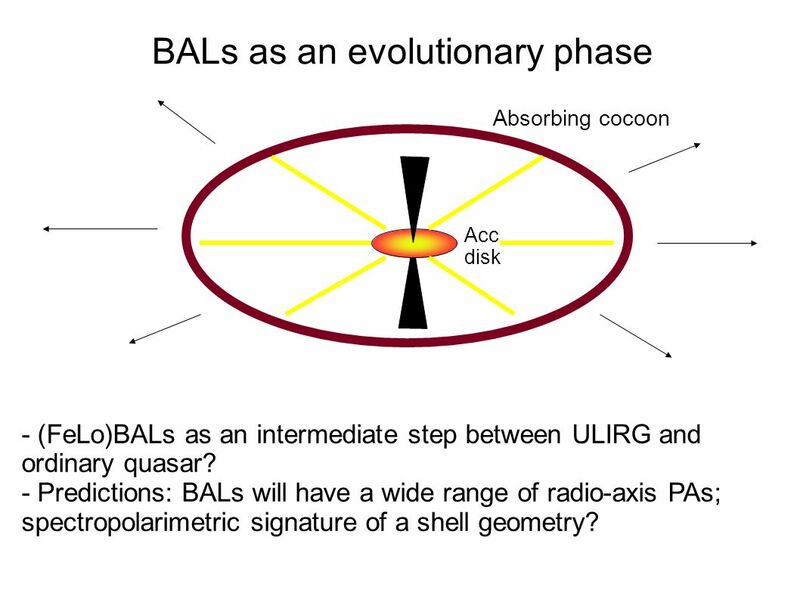 - Predictions: BALs will have a wide range of radio-axis PAs; spectropolarimetric signature of a shell geometry? 14 Why are FeLoBALs important? I don't know... yet. It depends on what causes them! 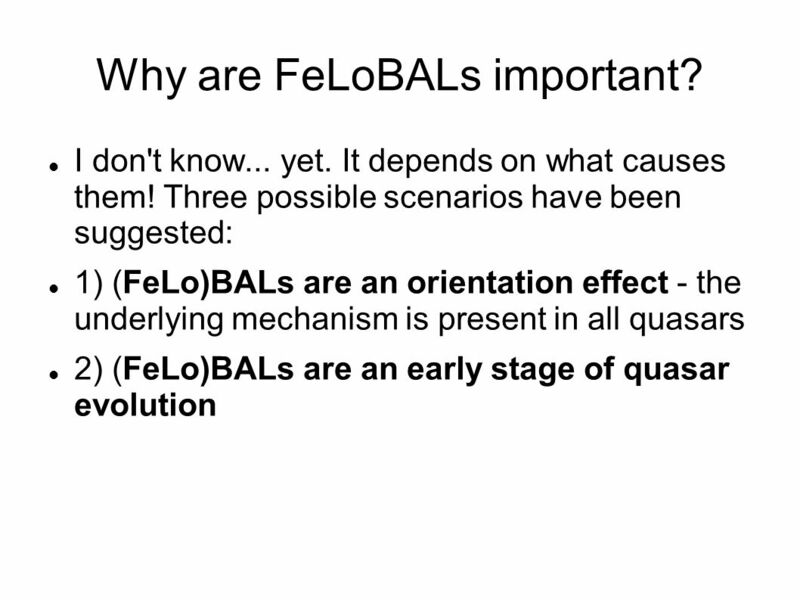 Three possible scenarios have been suggested: 1) (FeLo)BALs are an orientation effect - the underlying mechanism is present in all quasars 2) (FeLo)BALs are an early stage of quasar evolution 3) FeLoBALs are just weird - intrinsically different from normal quasars, irrespective of viewing angle and active lifetime. 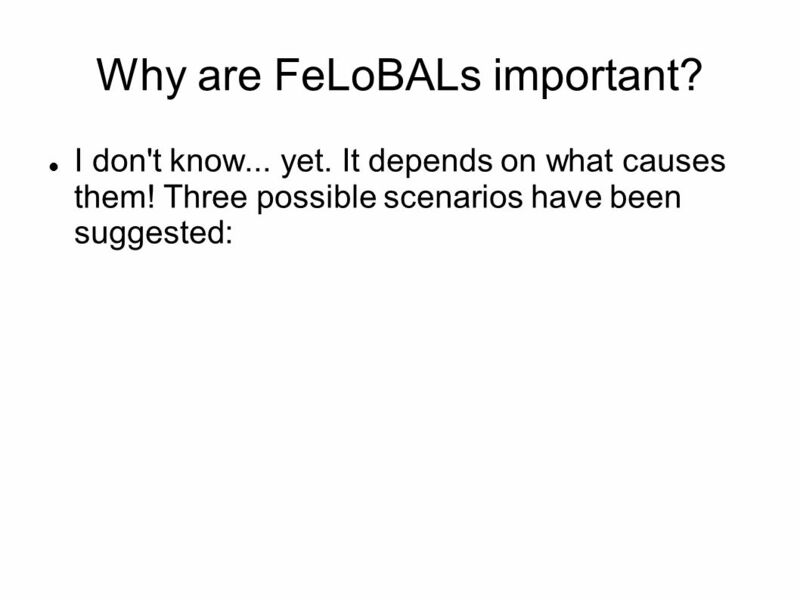 15 Why are FeLoBALs important? ...because they can constrain the unification model OR because they are a key piece of the quasar turn- on puzzle because they must somehow form in a different manner to ordinary quasars. 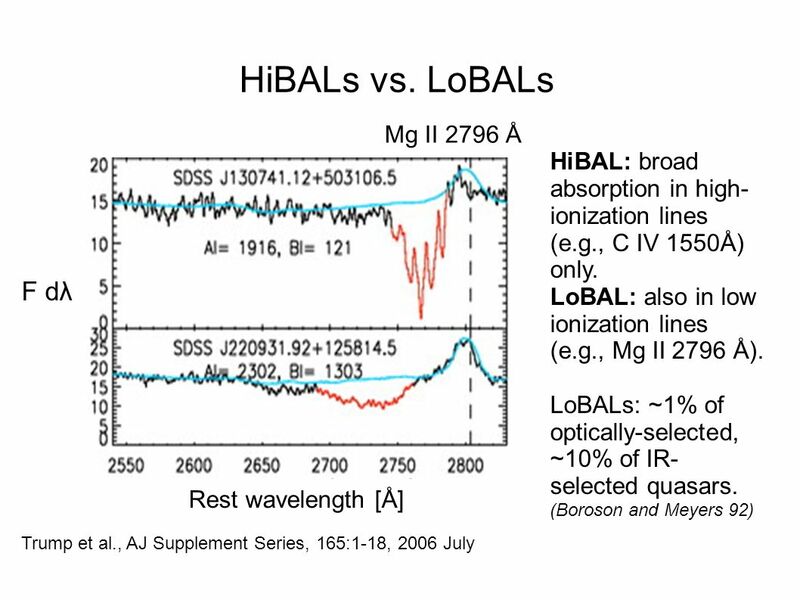 LoBALs show decreasing polarised flux towards long wavelengths (Kartje 95) Polarisation not correlated with radio loudness (Green et al. 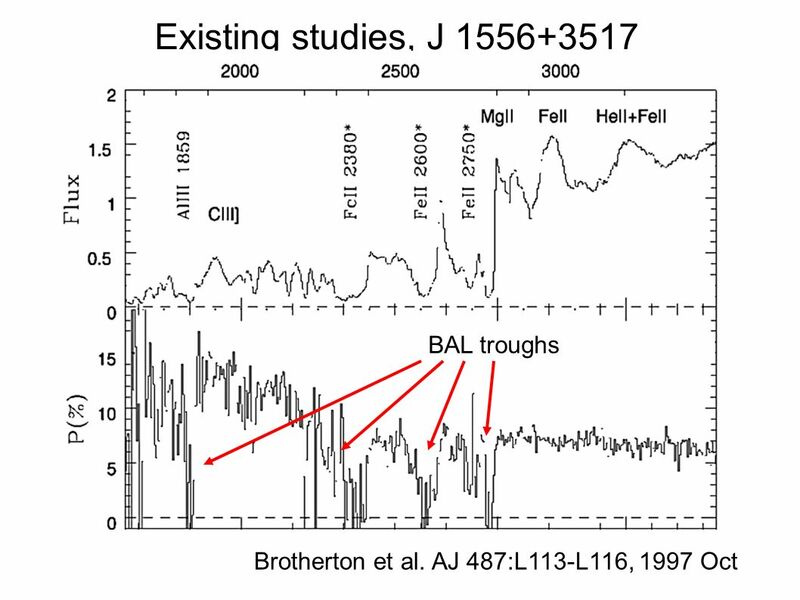 2008) Light at bottom of BAL troughs is highly polarized -> scattered paths are less absorbed? 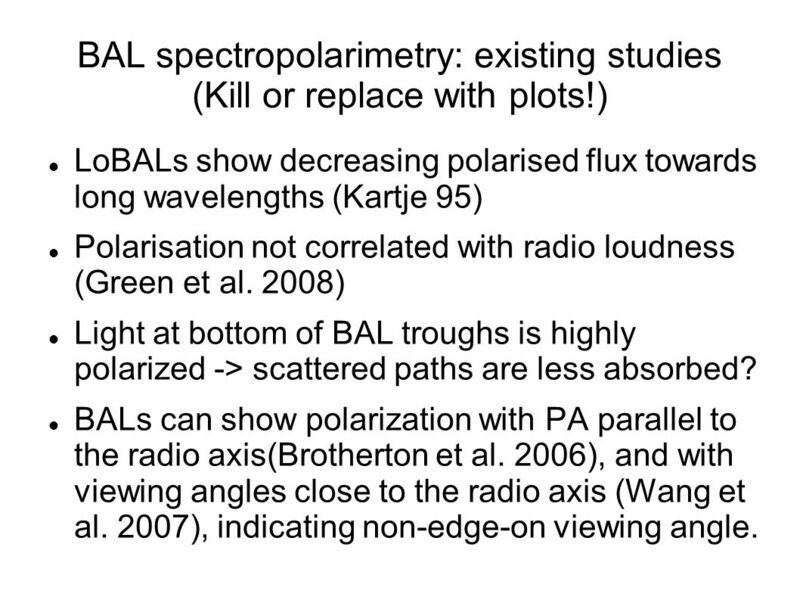 BALs can show polarization with PA parallel to the radio axis(Brotherton et al. 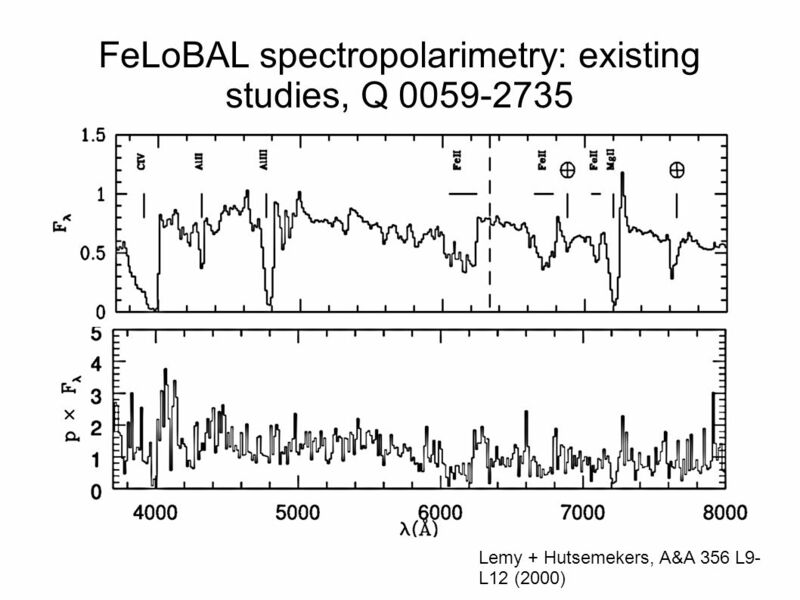 2006), and with viewing angles close to the radio axis (Wang et al. 2007), indicating non-edge-on viewing angle. 19 What do I want to know? 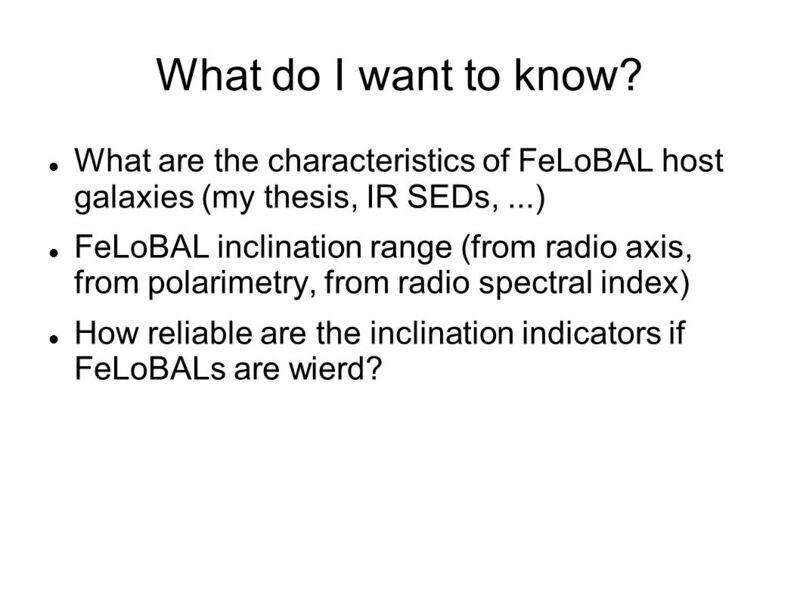 What are the characteristics of FeLoBAL host galaxies (my thesis, IR SEDs, ...) FeLoBAL inclination range (from radio axis, from polarimetry, from radio spectral index) How reliable are the inclination indicators if FeLoBALs are wierd? 20 What do I want to know? 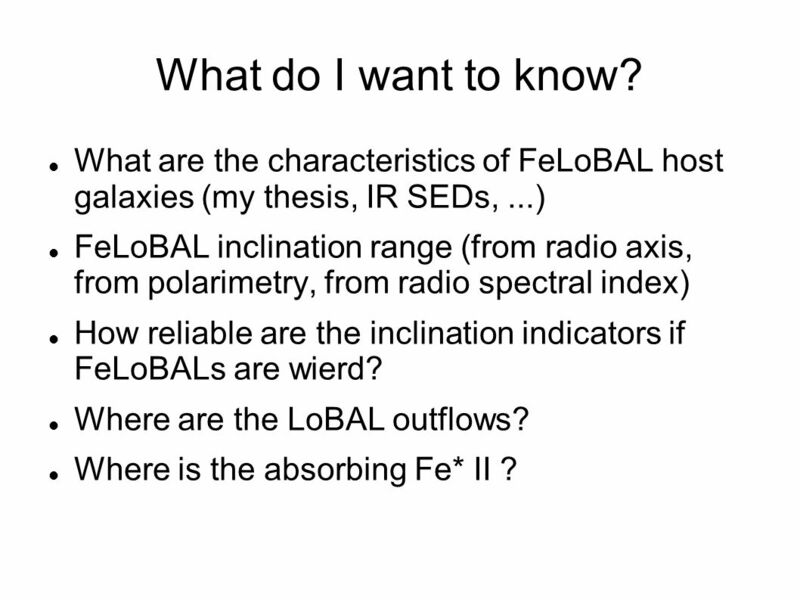 What are the characteristics of FeLoBAL host galaxies (my thesis, IR SEDs, ...) FeLoBAL inclination range (from radio axis, from polarimetry, from radio spectral index) How reliable are the inclination indicators if FeLoBALs are wierd? Where are the LoBAL outflows? 21 What do I want to know? 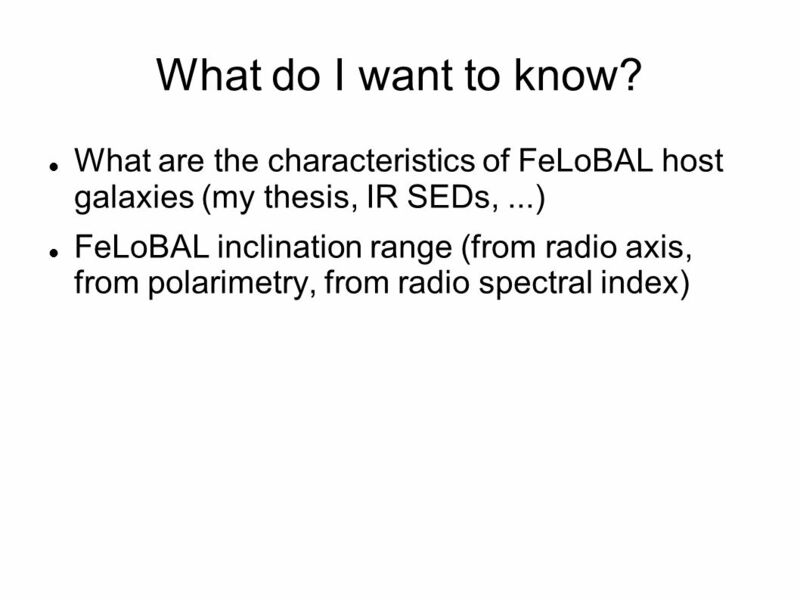 What are the characteristics of FeLoBAL host galaxies (my thesis, IR SEDs, ...) FeLoBAL inclination range (from radio axis, from polarimetry, from radio spectral index) How reliable are the inclination indicators if FeLoBALs are wierd? Where are the LoBAL outflows? Where is the absorbing Fe* II ? 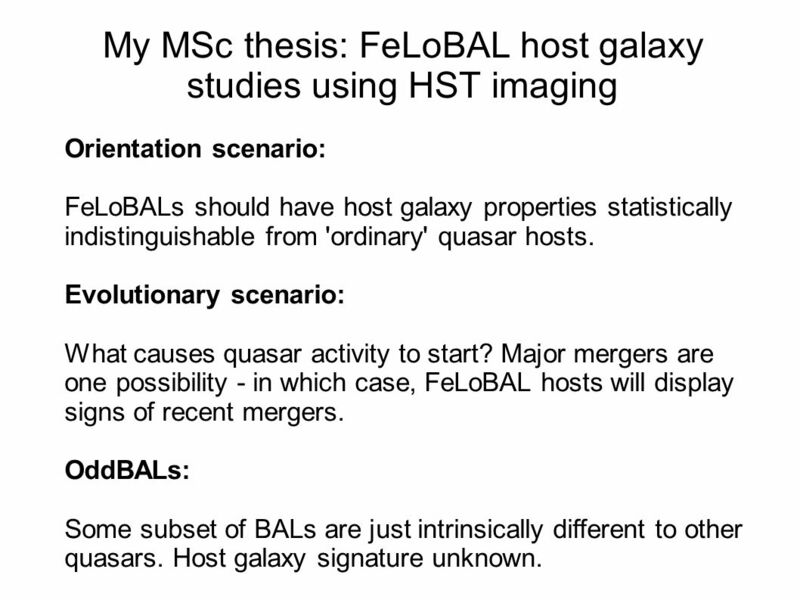 Orientation scenario: FeLoBALs should have host galaxy properties statistically indistinguishable from 'ordinary' quasar hosts. 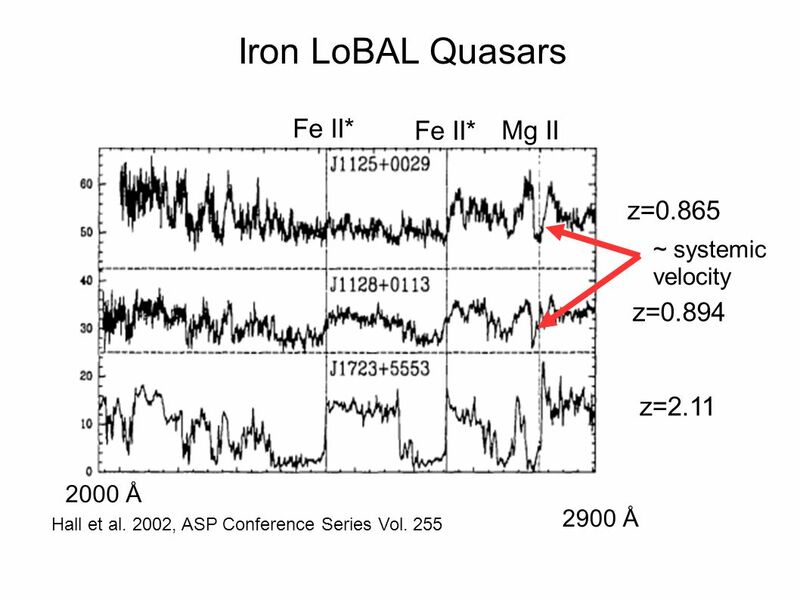 Evolutionary scenario: What causes quasar activity to start? Major mergers are one possibility - in which case, FeLoBAL hosts will display signs of recent mergers. 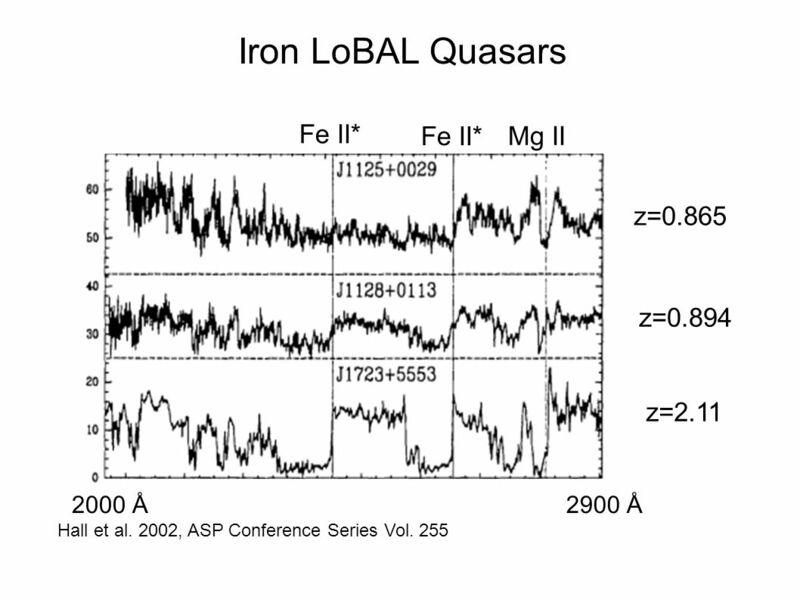 OddBALs: Some subset of BALs are just intrinsically different to other quasars. Host galaxy signature unknown. 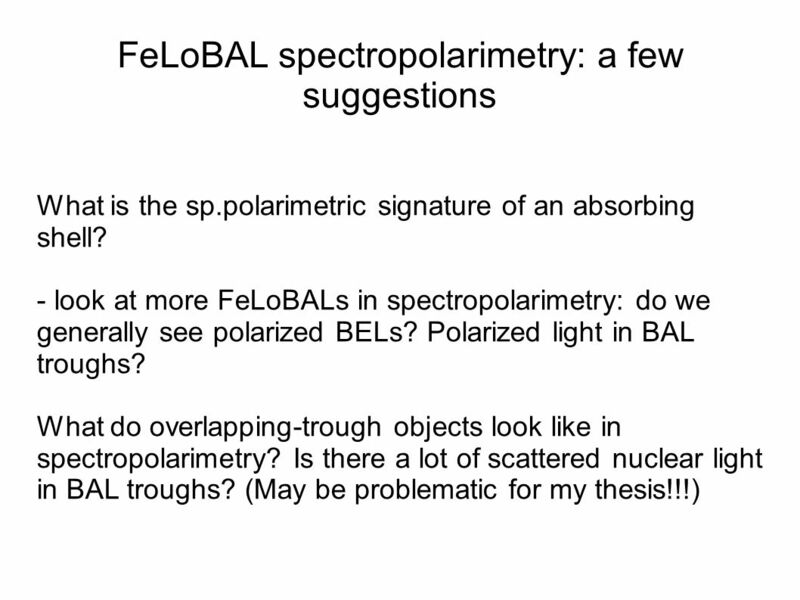 Download ppt "Polarimetry as a clue toward the nature of"
AGN9, Ferrara Maggio 2010 Gabriele Bruni – IRA INAF, Univ. 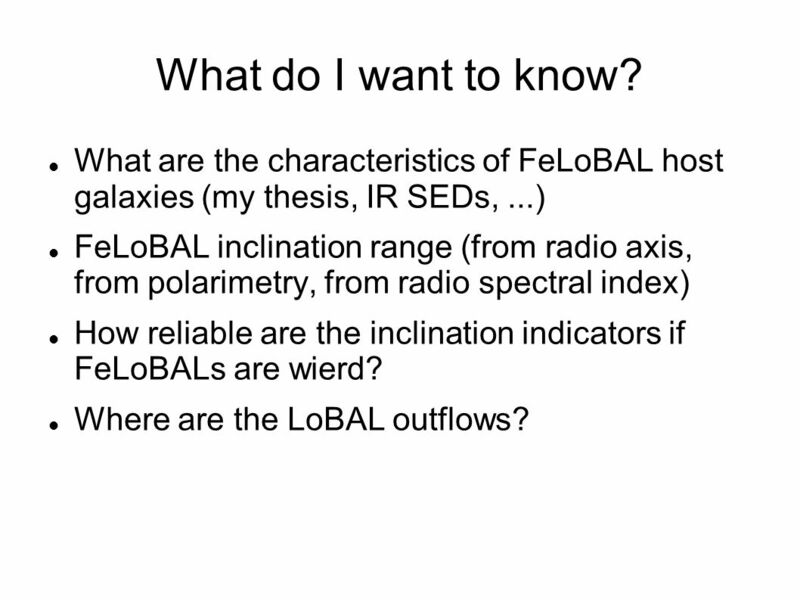 Bologna A RADIO APPROACH TO BROAD ABSORPTION LINE QUASARS Gabriele Bruni (IRA-INAF, Univ. 26 Maggio, 2010 AGN9 - FERRARA Poster(s) Radio quieti … + SKA Photos : Marcella Brusa. 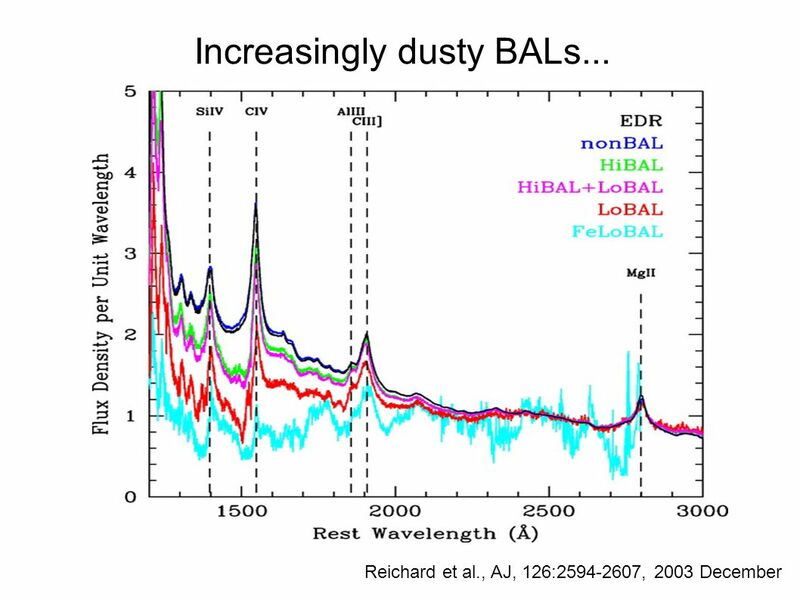 Accretion and Variability in T Tauri Disks James Muzerolle. Tercera parte. Young Objects Greene 01 SINGLE SCATTERING, Wood et al. (1996) Scattering: Disks/Envelopes. Evolution of Magnetic Setting in Flare Productive Active Regions Yixuan Li Space Weather Research Lab New Jersey Institute of Technology. J. Sulentic -- IAA - CSIC P. Marziani -- OA Padova – INAF A. Del Olmo – IAA - CSIC I. Plauchu-Frayn – UNAM, Ensenada. The W i d e s p r e a d Influence of Supermassive Black Holes Christopher Onken Herzberg Institute of Astrophysics Christopher Onken Herzberg Institute. 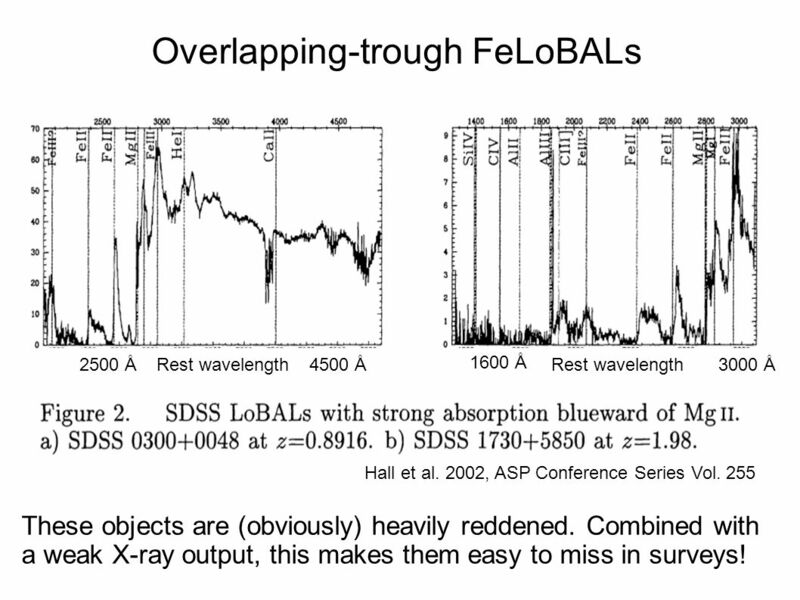 SN 1987A spectacular physics Bruno Leibundgut ESO. Multi-frequency radio observations of BAL quasar Magdalena Kunert-Bajraszewska Toruń Centre for Astronomy, N. Copernicus University. The Search for Type 2 Quasars Julian Krolik with: Reina Reyes, Michael Strauss, Ezequiel Treister, Nadia Zakamska. X-ray Absorbing Outflows Astro 597: High Energy Astrophysics September 27, 2004 Brendan Miller. 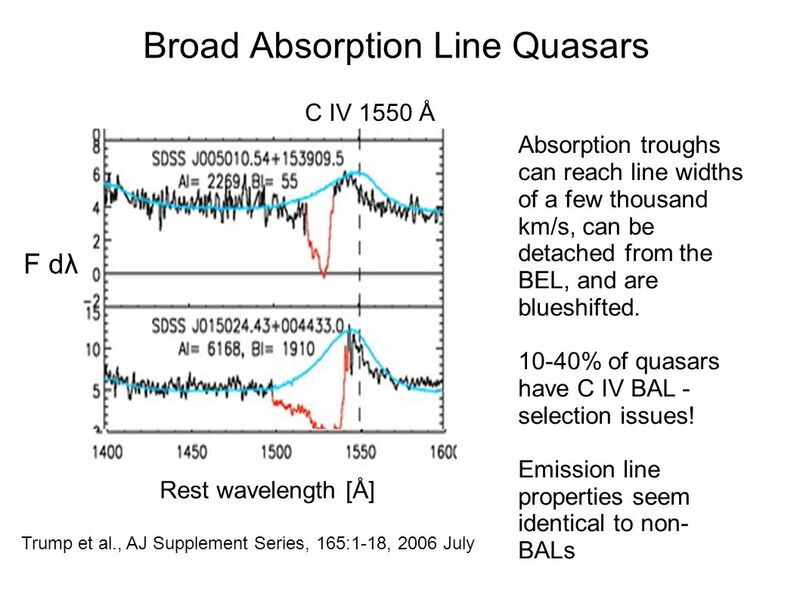 Outflows in Emission and Absorption: The SDSS Perspective Gordon Richards, John Hopkins University With thanks to Pat Hall, Jon Trump, Tim Reichard, Sarah. 9/19/2014 Claus Leitherer: Lyman Continuum Leakage 1 Lyman Continuum Leakage in the Local Universe Claus Sanch Tim Janice Sally Roderik Leitherer Borthakur. SN 1987A the excitement continues Bruno Leibundgut ESO. 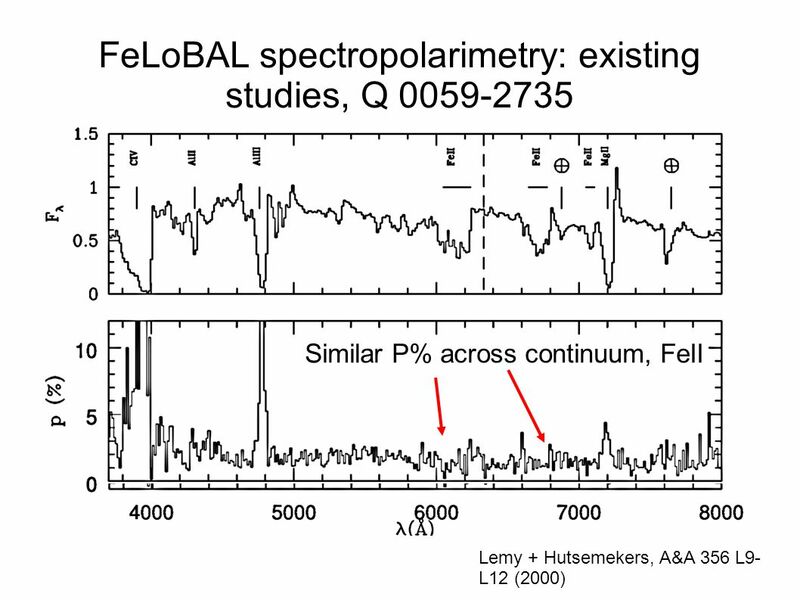 The Prevalence and Properties of Outflowing Galactic Winds at z = 1 Katherine A. Kornei (UCLA) Alice E. Shapley (UCLA) Crystal L. Martin (UCSB) Alison. Mike Crenshaw (Georgia State University) Steve Kraemer (Catholic University of America) Jack Gabel (University of Colorado) NGC 4151 Mass Outflows from. Galaxies with Active Nuclei Chapter 14:. 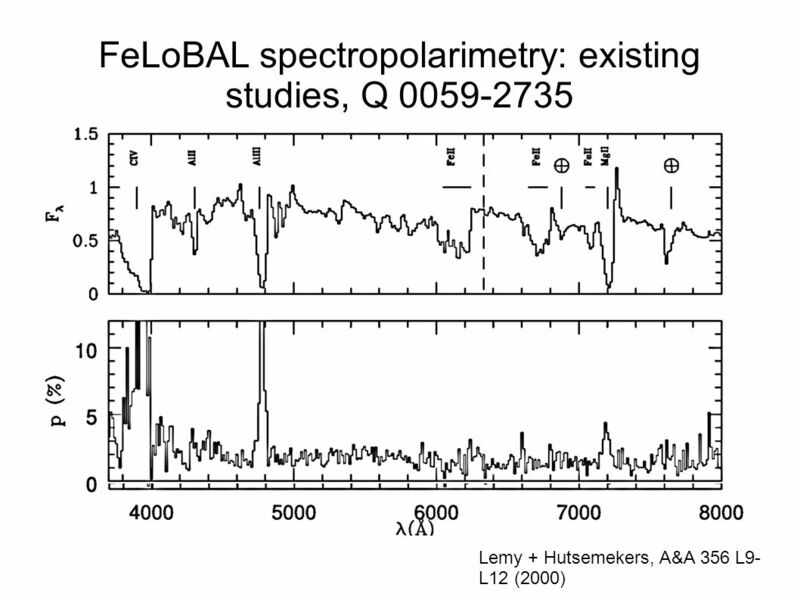 Active Galaxies Galaxies with extremely violent energy release in their nuclei (pl. of nucleus).  “active galactic.